Spacious. That is how I would describe my room at Park Regis Griffin Suites. It was gratifying that I stayed at this hotel when I was in Melbourne for a few days because it had provided me the space that I wanted. Well actually it was more than what I had needed because I didn’t imagine that my room could be that sizeable. It was already late when I was able to check-in at the hotel. I still came from a sightseeing tour at Mornington Peninsula; hence the reason why. Checking in was easy. After getting my room key card, I went right away to my room and had a soothing rest, which had continued for two nights. I couldn’t blame myself if I felt so bum when I was at the hotel. The room was homey. All the time I just wanted to be in bed. I was thinking of ditching my plan of touring the city. I wasn’t tired. It was just I was being sluggish I guess. 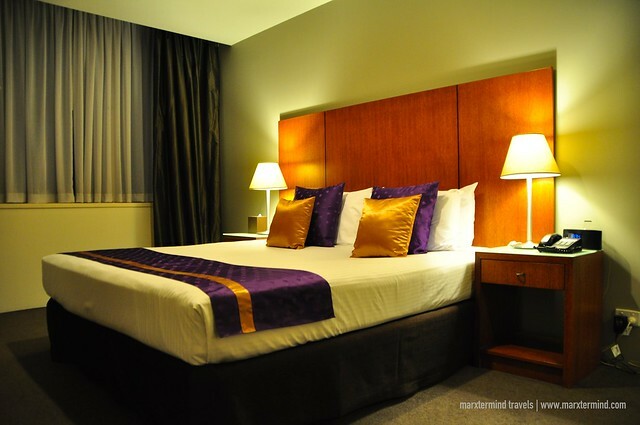 Park Regis Griffin Suites, which is located along St. Kilda Road is actually out of the city center but still can be reached for about 10 minutes drive. A train station is situated a few walks away making it very convenient to get to your desired destination, may it be the popular beaches situated along Port Phillip Bay or the interesting tourist attractions at the city center of Melbourne. The neighborhood of St. Kilda is peaceful and quiet. This added to the factor that makes Park Regis Griffin Suites an ideal choice for travelers looking for a great base to stay in Melbourne. 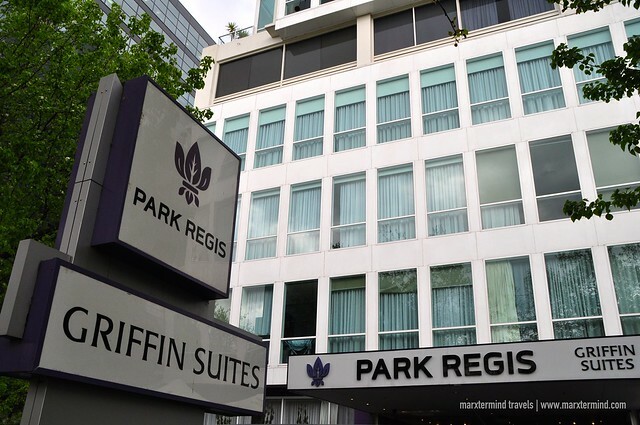 Park Regis Griffin Suites offers modern accommodations that are spacious and smart. 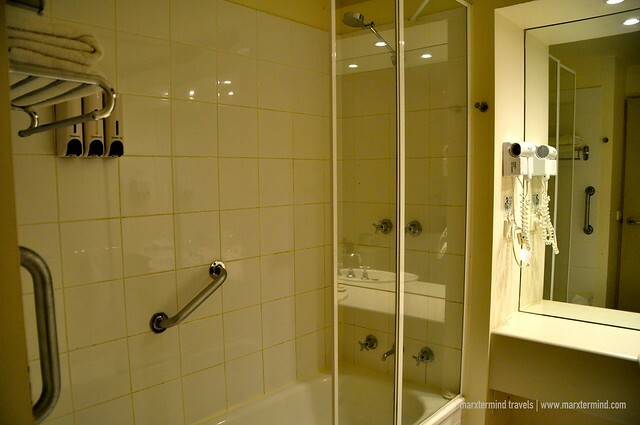 The hotel has 5 room types suitable to every type of travelers. The hotel has a Hotel Room, One Bedroom Apartment, Two Bedroom Apartment, Two Bedroom Dual Key Apartment and Long Stay Apartments. Each room has up to date interiors and full range facilities to ensure that guests will have an easy and pleasant stay. 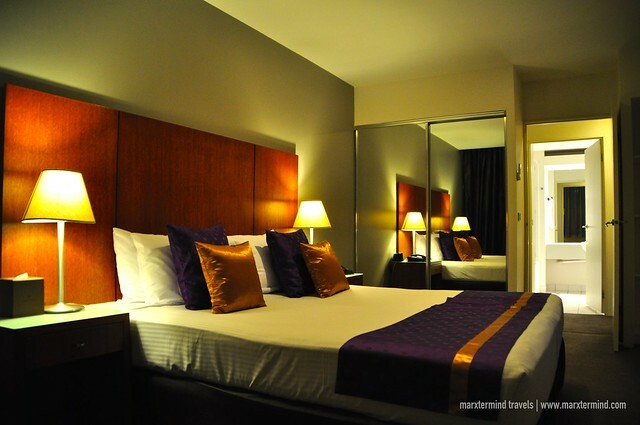 Rooms are priced affordably with room rate that starts from AUD 200. One Bedroom Apartment was my room for two nights. The spacious modern apartment has a nice separate bedroom, a cozy living area, a sizeable bathroom and a kitchen with full kitchen facilities. 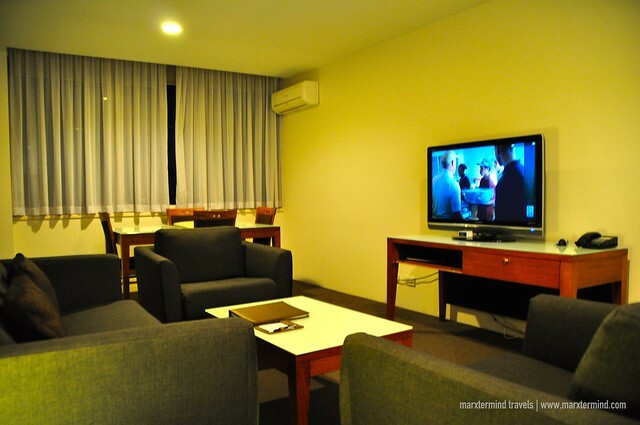 The room was equipped with air-conditioning, TV, DVD player and working desk. The bedroom has a queen size bed. It was cozy. The room also has a TV and a telephone. It was nice to have a room that is large and well appointed. It provided me a great space to relax. I had an expansive room to feel undisturbed. 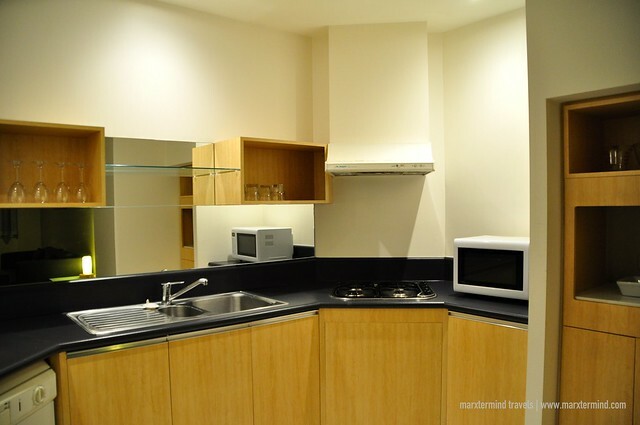 It was also great that my room has a kitchen because I was able to use the facility to cook my breakfast and dinner. Well, after staying in Sydney for almost a week, I had to save up. My budget was running out. 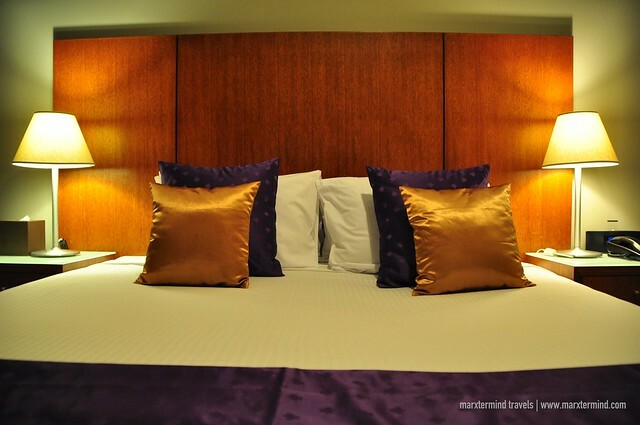 Having an accommodation like this at Melbourne that provides full range facilities certainly makes a stay in the city even more satisfying, comfortable and easier. Park Regis Griffin Suites also provides guests with outstanding facilities and friendly services. The hotel has a 24-hour reception. Room service, laundry service and guest laundry are also available. There’s also a free Internet access in the lobby and a complimentary Wi-Fi access up to 250 MB per day. The hotel also provides assistance for tour bookings. The front desk is glad to assist guests for directions and some other stuff that they can be helped of. The hotel also has luggage storage and undercover parking. The hotel also has conference and function facilities catering for a range of events. A restaurant is also located at the ground floor. The in house restaurant is open for breakfast and lunch offering delicious meals. It is a friendly place to eat and drink. Through its location, room and services, my stay at Park Regis Griffin Suites provided me a relaxing home away from home experience. 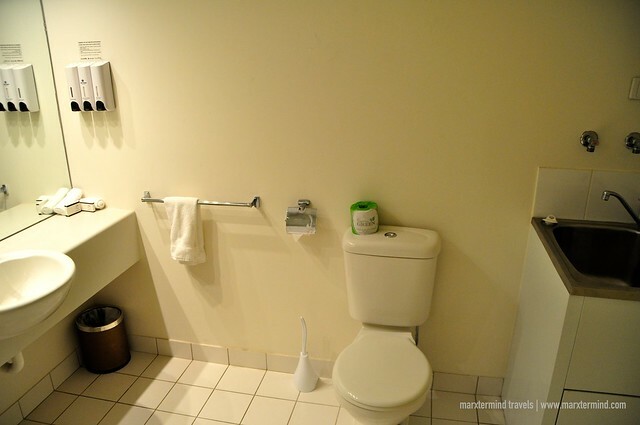 My apartment-styled suite that is light and airy provided me great comfort and a wonderful hotel experience. 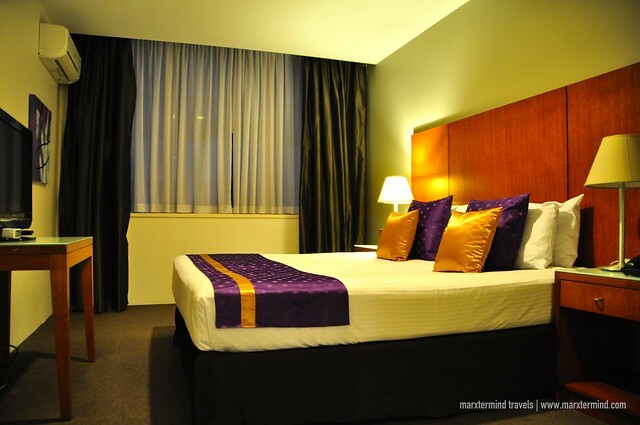 It has all the needed convenience that gave me an easy and comfortable stay in Melbourne.